Rolaids® Advanced Tablets kicks acid and a whole lot more! 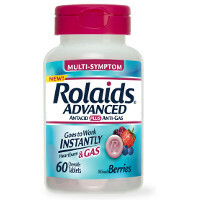 New Rolaids® Advanced goes to work instantly on your worst heartburn, bloating and gas. Go ahead and take relief to the next level.